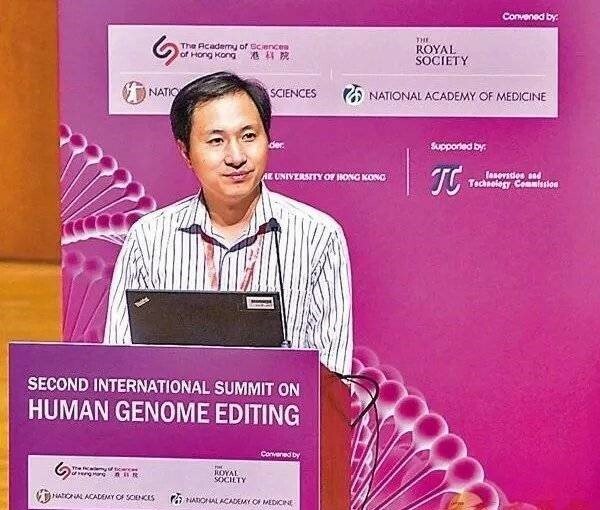 In November 2018, Chinese scientist Jiankui He claimed that he has firstly created a pair of genetically edited embryos using a tool called CRISPR Cas9 to eliminate a gene called CCR5. This trial enrolled 7 couples of embryos, both of whom were HIV-positive fathers and HIV-negative mothers. Finally, one group of successful pregnancy a group of twins, LuLu and Nana, naturally have an ability to resist possible future infection with HIV. (BBC 2018) However, this potentially ground-breaking medical achievement arouses a global drastic controversy. (The Guardian 2018) The babies have been born healthily without any known disease, but the future cannot be predicted. The child’s genes are edited in the state of fertilized eggs under the premise of father’s infection with AIDS, so that the child can obtain an ability to resist possible future infection with HIV, it is a good new for the community of humankind. First, if a family has AIDS children, it is very painful for the child’s growth. Of course, parents will also bring corresponding economic burdens and psychological pressures, and will have strong dependence on society, such as medical care, social welfare and special education. Secondly, the rational use of gene editing technology not only protects the child’s right to life but also maintains the quality of life of the child’s parents, especially in some countries where abortion is not allowed. Gene editing technology can effectively and efficiently solve such problems. It correspond with Utilitarianism, which means that the action that brings the greatest happiness for the greatest number should be chosen. (Poel and Royakkers 2011, p.78) Therefore, the application of this gene editing is not in violation of engineering ethics under the appropriate review mechanism. From the perspective of engineers’ cautious technical enthusiasm and their right to assume positive responsibilities, this application of gene-editing technology should not be unfairly ethical condemned. Moreover, ethics is autonomy (Poel and Royakkers 2011, p.13). The parties of the experiment has the right to ultimately determine what his ethics are rather others. Dr He said he had completely clear goals and told the participants that embryo gene editing had never been tried before and carried risk (BBC 2018), which shows that he had fully considered the consequences. Besides, he would provide insurance coverage for any children conceived through the project and plan medical follow-up until they are 18, and longer if they agree. This proves he will take his due responsibilities very seriously, which are consistent with Bovens’ definitions of engineer active responsibility (Poel and Royakkers 2011, p.19). From duty and care ethics point of view, this experiment is also meet the requirements, the aim of the gene editing of the babies was to save them from the risk of AIDS their parents bringing. Gene editing in vitro fertilization process to make the children permanently lose the risk of HIV infection is undoubtedly the most effective and efficient way to ensure their right to life and health, the most basic human rights. Besides, Dr He paid for the whole experiment himself, with fully goodwill, which is the only thing that is unconditionally good in Kantian ethics (Poel and Royakkers 2011, p.81). In addition children can have unlimited contact with their parents in the future. It gives them the rights and joys that every normal family can have, which will be supported by the care ethics. Secondly, the researcher said his goal was not to cure or prevent an inherited disease, but to try to bestow a trait that few people naturally have an ability to resist possible future infection with HIV. (The Guardian 2018) I think it is inconsistent with the utility principle which indicates one ought to conduct actions that lead to the greatest happiness for the greatest number. (Poel and Royakkers 2011, p.81) However, utilitarianism also received many criticisms because of many issues need further considerations. Here, happiness of gene-edited babies cannot be measured objectively and utilitarianism can lead to unintended exploitation. Furthermore, responsibility means in the first place being held accountable for your actions. Admittedly engineers do have the specific technical knowledge and they do know about, for example, the risks that may be involved in technology. (Poel and Royakkers 2011, p.22-23) There has a potential risk in this research, which may cause other diseases after editing the gene. Finally, according to Kant, the categorical imperative also implies a postulate of equal and universal human worth. As a rational being should have the right to make up her or his own mind. The reciprocity principle tells us that we should respect people as people, and not ‘use’ them. (Poel and Royakkers 2011, p.91) In this research, baby did not be treated as a rational being but as an experiment product, causing the baby did not make a decision by himself. Maybe this study can promote the development of science and technology, the parties to the experimental product are unaware of the present, did not treat the baby equally, and did not respect human rights. This is not acceptable. Also, the baby may not want to be responsible for irrelevant people. We should help others, but there is no absolute duty to give one’s whole life to helping others. Perfect duties will take precedence over imperfect ones such that we cannot help someone by violating the rights of others. Although this experiment is controversial, the gene-edited baby is not ethical and should be banned. I totally agree with your opinion, Daniel Wu, I really can’t think of any reason not to ban genetically edited babies. Gene editing is a topic that has received wide attention. I don’t think humans have the right to change these genes. Honesty I think Gene-editing is a great technology and it’s so cooooool!! Can’t wait to be Gene-edited! Gene-editing is definitely in the moral grey area, the same as clone. For sure this technology shall be a giant leap for mankind, it is still against nature trying to change who we are meant to be after millions years of evolution. Also, if clone has been banned from human society, why is gene-editing still an open option? Although the doctor’s starting point is good, if someone uses this technology to conduct malicious behavior in the future, is this moral or immoral? And are the researcher sure that the baby after the gene editing will not have AIDS? I support the development of genetic technology, but it needs to be under reasonable supervision. The gene-edited baby is a kind of development of technology, but as a human being, the consideration of ethic is more important for the socity. Personally, I think gene-edited baby, as experiment specimen, in this case, need to be discussed separately. Because it related to the human, ourselves. If the outcome of this tech is beneficial for the human, we could adopt it. So we need steps to verify whether the tech has become mature. Maybe start from animal experiment first, just like the procedure of drug tests. It may take several decades but can be morally acceptable and physically safe. This is a great technology, but it is necessary to accept a strict ethical check. I think we should have to balance the risk the technological potential. gene-edited babies may bring benefits, but the impact on social and ethical dimensions is unknown. The starting point of the research is good, but always pay attention to the means of not being used by people who have illegal attempts. The whole article has a clear logic and a compact structure. It demonstrates that the edited Body is not ethical and should be banned through indicates its reference in many places. I agree with the initial decision, although curing diseases such as HIV would be a step forward for humanity I think the ethical implications and the risk factor of genetic engineering are too high for this to ever take off. Helping people recover from terminally ill disease and bringing them back to their original healthy state is good, but artificial enhancing people’s genetics is something not to be tampered with. Due to the lack of knowledge in this biology field and high risk, I think the fear of these things creeping into society is dangerous, people begin to become unhappy about genetic engineering, consequently halting further scientifically advancement. The point about altered offspring not having their say is something I haven’t yet thought about, yes the likelihood is, this is even more of a reason for ethical issues on designer babies to never be passed. The gene editing technology itself is far from mature since most of the output that has been reported remain in the level of laboratory application. This indicates that the theoretical validation and verification of such technology is still under investigation and could not be treated seriously in terms of mass application in the field of public health. The biggest risk of biological technology is uncontrollability, who knows what will be produced after editing even a single gene? Solely from the perspective of solving a world-class problem, AIDS, gene editing seems to be a great idea. However, it is impossible for scientists to simply apply technology to reality without considering its social impact. That means even if the technology is neutral and is under control the society is not that close to accept this treatment due to the dominancy of someone’s life is taken away by means of changing his or hers enborne characteristics. In addition, the price to pay for the treatment is not that affordable to every family, the most practical way to prevent the spread of AIDS is to enhacne people’s understanding of sexual health both physically and mentally, as well as taking necessary measures to protect themselves and others. The question, seems to me, to be could the technology be abused, and how so? If so and if the abuse of the technology is severe then strong ethical cases can be made against the technology. From your article it looks like the current use of gene editing is benign – reducing/removing change of inheriting a disease. Can you clarify the question in assignment two – is the topic gene editing or gene editing in this particular case? Overall, the article carried a good degree of ethical discussion.